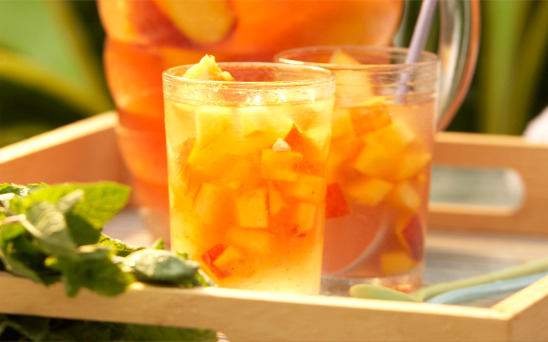 Close your eyes, and this effortless, refreshing white sangria recipe flavored with the tastes of the laziest summer days will transport you to the seaside where the local children laugh and dive from the rocks into crystal-clear waters while you waste away the afternoon with friends. As with all sangria punch recipes, these are only suggestions. But they’re delicious ones! You’ve already got the peaches. Maybe add some sliced red grapes. Maybe some sliced green apples too. About a cup of each of those should do it. Keep it loose, and let what’s available inspire you. 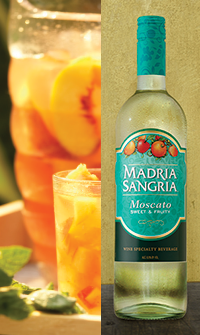 Pour the Madria Sangria Moscato into your favorite pitcher. If you want, add the vodka, lemonade concentrate and sugar, then give it a stir until the sugar is dissolved. Now throw in the sliced peaches and whatever fruit you choose. Toss the whole thing in the fridge until the flavors all get to know one another. 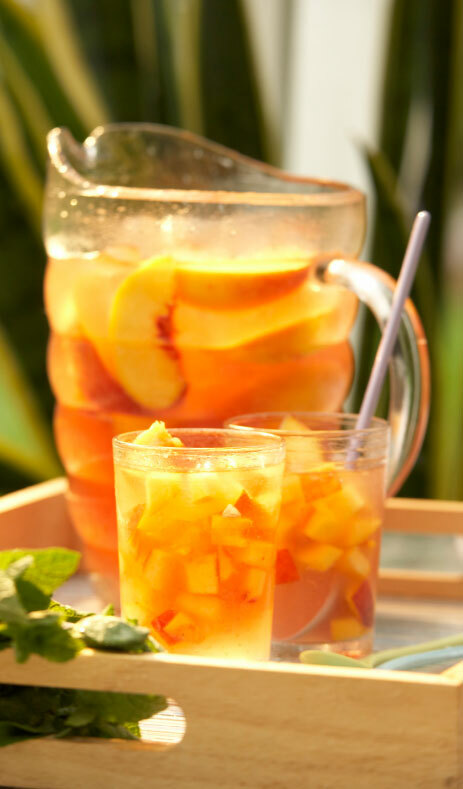 Serve in glasses over ice, scooping some of the fruit into each. Then smile and enjoy. It’s a beautiful day, after all. Total prep time: Barely any.